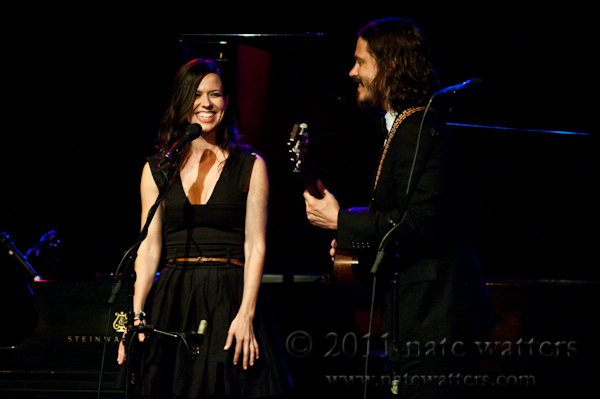 For two consecutive nights this week, The Civil Wars played to a sold-out crowd at the Triple Door. 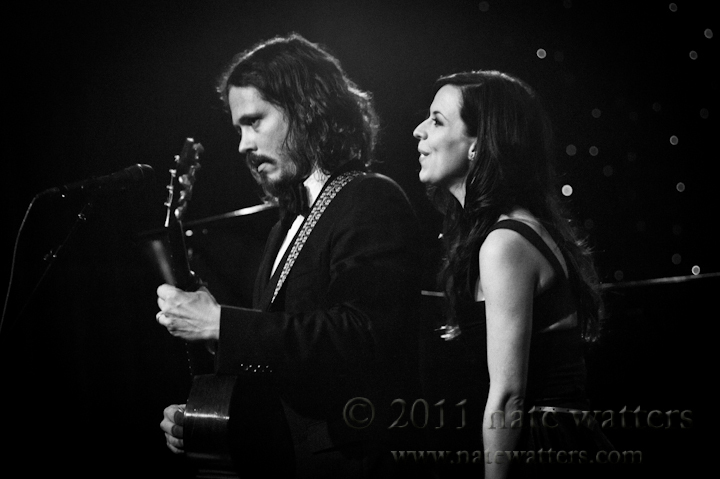 The Civil Wars is comprised of Joy Williams, originally from California and John Paul White, from Alabama. Despite their obvious geographical differences, the two have come together to form a beautiful sound. 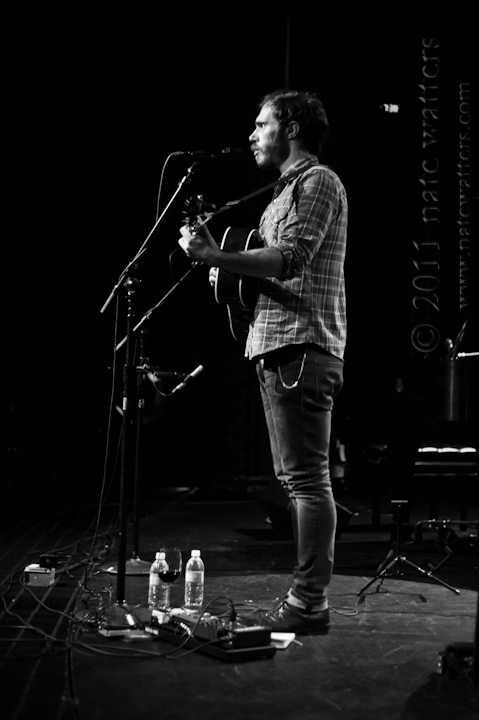 Wednesday’s opener, James Vincent McMorrow described it best: “It’s as if the two were genetically engineered to sing together,” McMorrow said halfway through his own set. 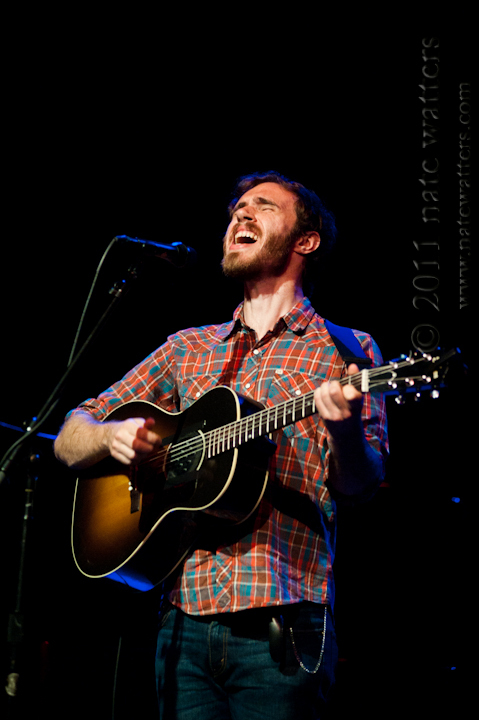 McMorrow’s own sound, that of an Irish Bon Iver – if there were such a thing – provided the perfect foundation for White and Williams to play upon once they walked on to the stage. 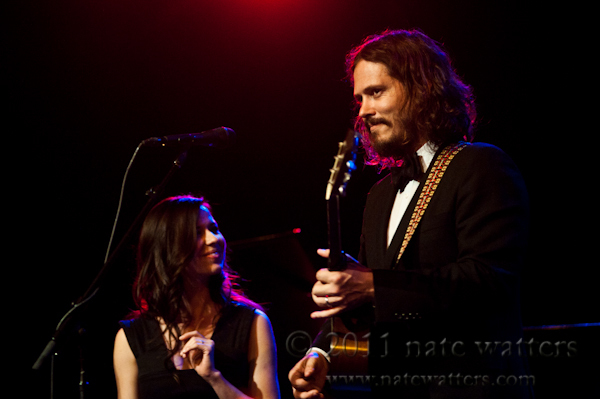 There is a video on YouTube of The Civil Wars covering Michael Jackson’s “Billie Jean” during a live performance some time ago. 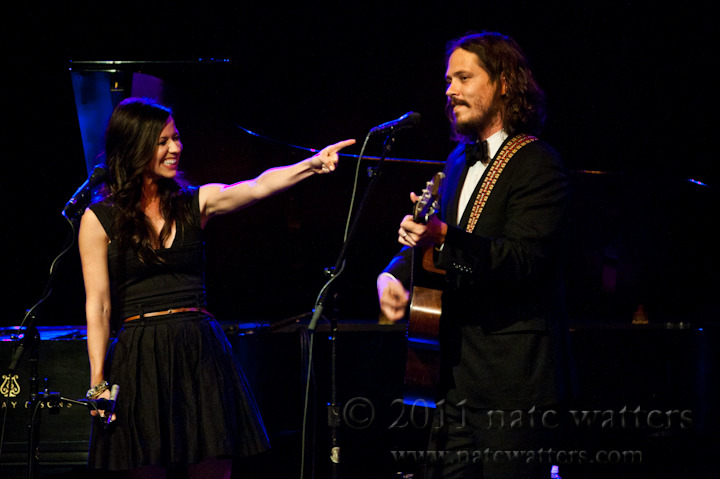 If the viewer of this video has never seen The Civil Wars perform, the laughter in the audience might be a bit confusing, as their version of “Billie Jean’ is actually quite incredible. The moment White and Williams walk on stage, it’s easy to see what that laughter is all about. In fact, it probably isn’t laughter at all. The audience is most likely giggling along with the duo. Combine White’s modest handsomeness and Williams’ to-die-for smile with onstage antics that only two people with such a strong chemistry can pull off, and one can’t help but feel giddy watching these two perform. While playing fan favorites like “Barton Hollow” or “Poison & Wine”, every song feels like something more than just a song – something special. Like their personalities, White’s and Williams’ skills as musicians complement one another other perfectly. 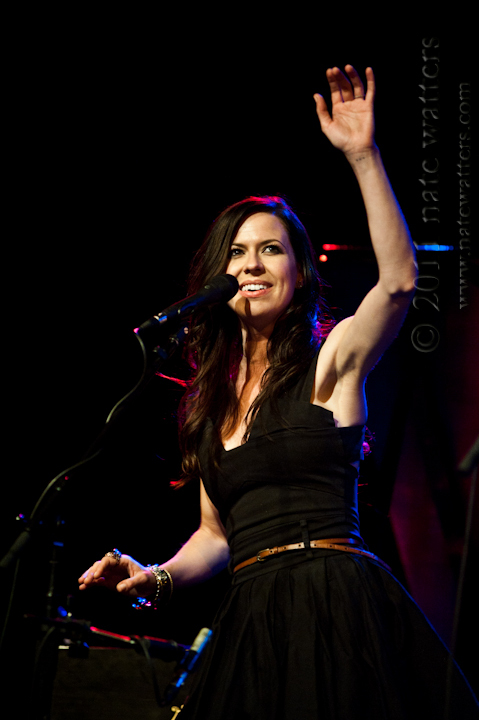 Williams’ vocals, somewhat reminiscent of Allison Krauss, add an incredible depth to White’s guitar/vocal combination. It is easy for a duo like this to sound just like just another man and woman with a guitar. 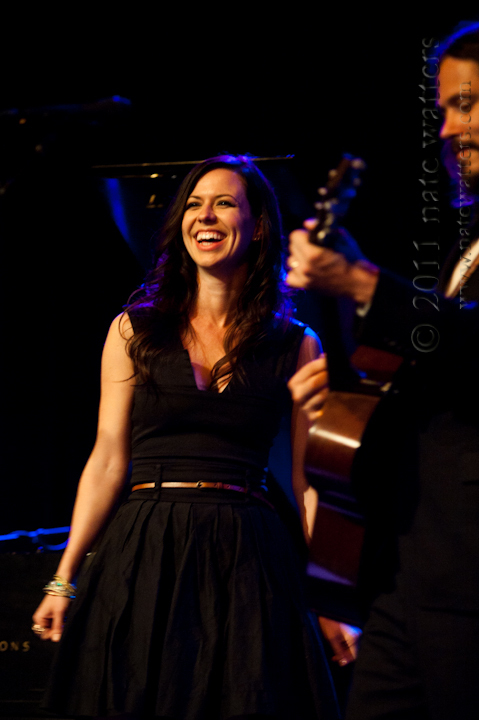 But The Civil Wars are so much more. The Civil Wars, as their name may imply, do indeed sing about battles – battles we fight within ourselves throughout life – with love, with desire. But The Civil Wars are not those battles. 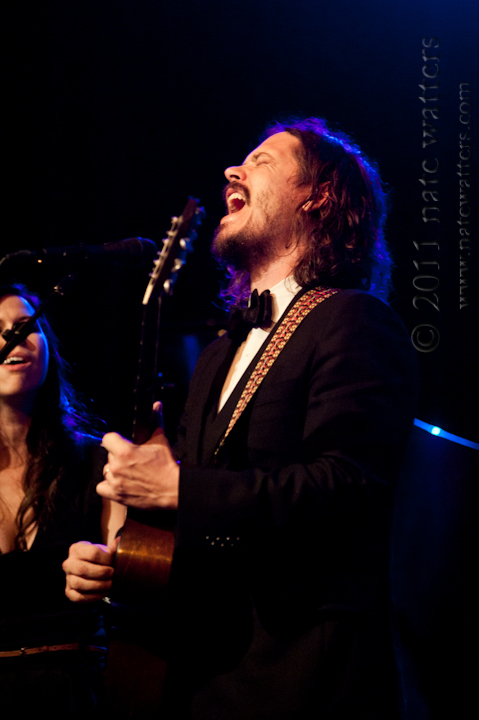 The Civil Wars are a bond between two extraordinarily talented people – a bond that brings out the very best in both White and Williams and puts it in to every song they sing together. And if it doesn’t evoke some kind of emotion from you, you probably aren’t paying enough attention. Written by: NWatters on 06/25/2011. 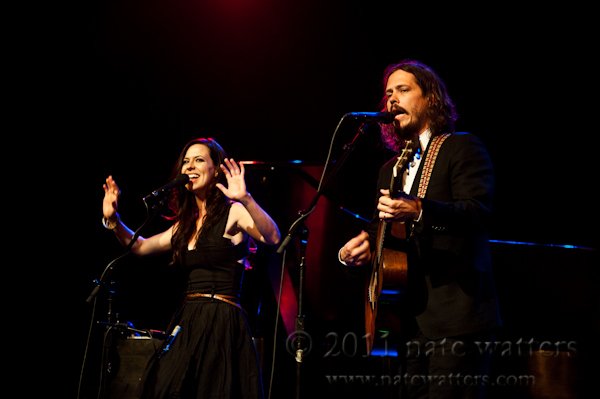 This entry was tagged nate watters, the civil wars. Bookmark the permalink.